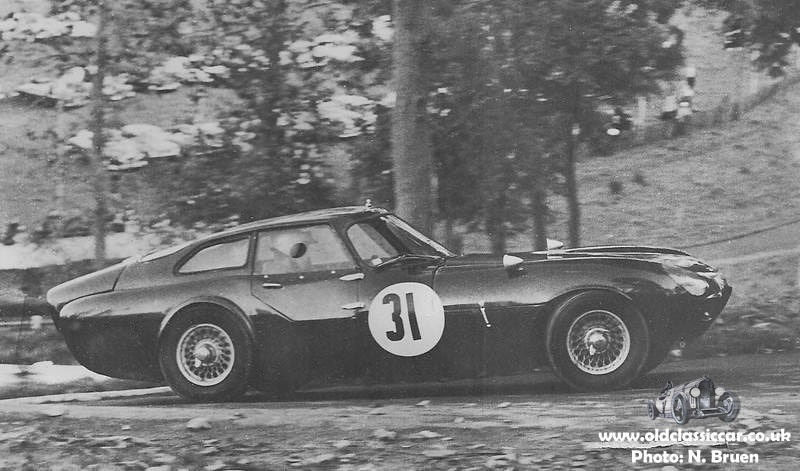 In 1961, Peter Adams acquired a Gullwing chassis from Marcos and decided to build it into his own open topped car. When Jem had found new financial backing to re-start Marcos, had had no time he needed to develop a completely new car, and the car Peter had build was selected as a suitable ‘stop-gap’. 189BER originally sported a modified Gullwing bonnet, which was redesigned before the car was presented (as an open topped car) at the Racing Car Show in 1963. As the racing fraternity showed more interest in the Gullwing successor than open-top sunbathers, the team had to come up with a solution. Legend has it Dennis Adams hacked the fastback shape with a breadknife out of a lump of styrofoam dropped on top of a Spyder. 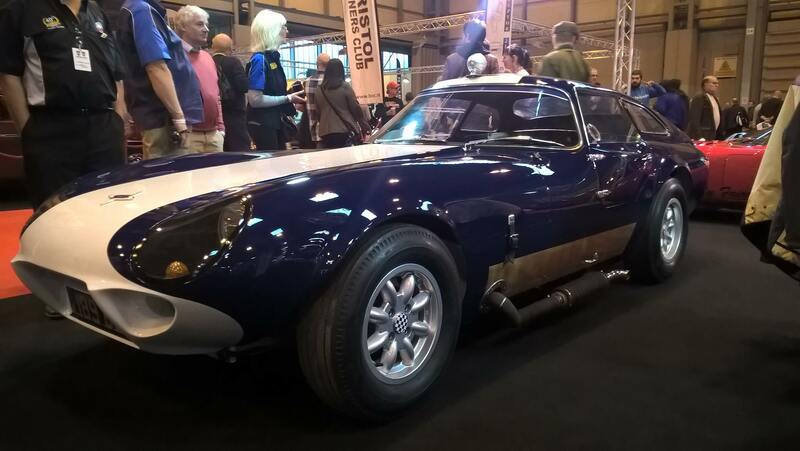 In the next year and a half about 18 fastbacks were built and it is believed only 3 actually had a detachable hardop. All others had the roof bonded on to the rest of the body. 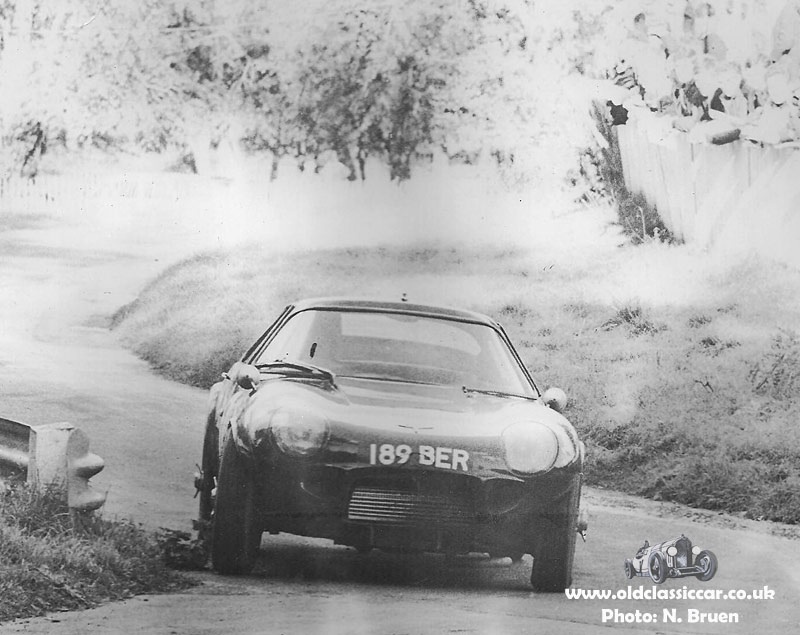 189 BER was later sold by Peter Adams to Vic Russ who added a fixed top too and raced it with Marcos development engineer Terry Sanger. After a mishap with Sanger behind the wheel, he was gently forced to buy the car. After he repair he campaigned the dark blue car with a 12 valve 1600cc Martin engine mated to a 4 speed gearbox and a Riley 1.5 back axle. Above shows the car in Terry Sanger’s ownership at Solitude in Germany. 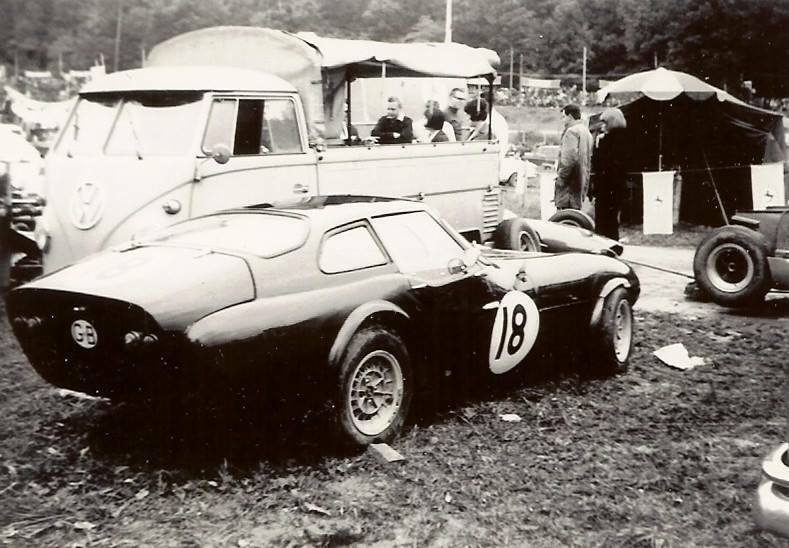 It was later raced by Mike Butcher at Prescott Hill featuring wire wheels! 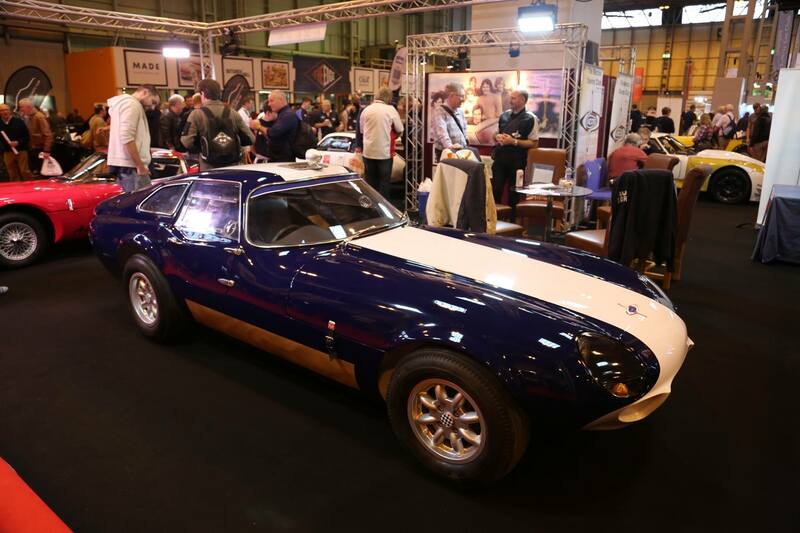 In November 2016 a restored 189 BER was presented at the Classic Car Show at the NEC in Birmingham (pictures thanks to the Marcos Cars Facebook page).